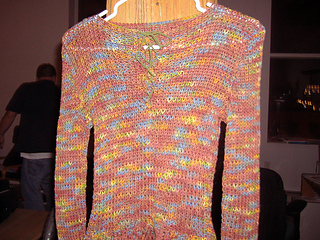 When mercury rises, keep your cool in viola Carol’s variegated poolside cover-up. Make this easy ribbed number, and a matching one for your pooch, over a long lazy weekend. 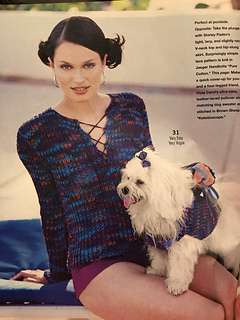 First appeared in the spring/Summer ‘01 issue of Vogue Knitting.